LIM Innovations is a San Francisco based prosthetic manufacturer. Garrett Hurley, a Certified Prosthetist, and Andrew Pedtke, an Orthopaedic Surgeon founded LIM Innovations in October 2012. 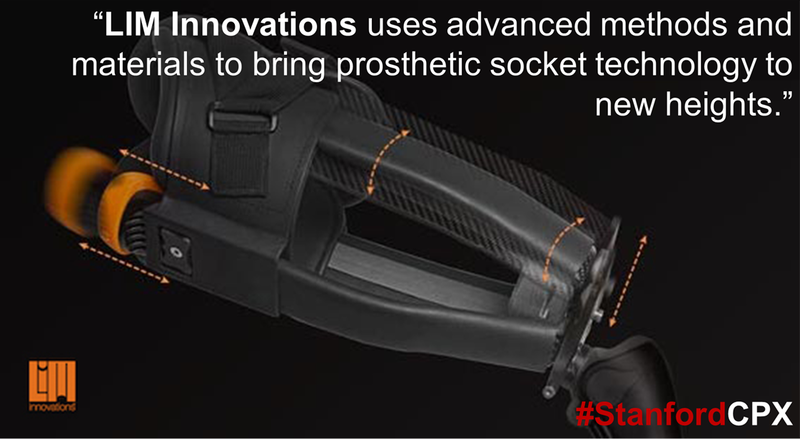 At LIM Innovations we aim to improve the human physical condition for amputees with socket technology designed for comfort and performance. Our core company values demonstrate an approach to prosthetic technology development that starts with addressing the user’s needs and clinician’s demands, while offering advanced technical solutions combined with unique design advantages. We went to market with our first product, the Infinite Socket, on September 4, 2014. There are currently over 55 users, including children and active duty military personnel.